I figure since I started one for Superman, The Dark Knight should have a thread for himself. So, here's a celebration for Batman on screen, via the works of Burton and Nolan,. 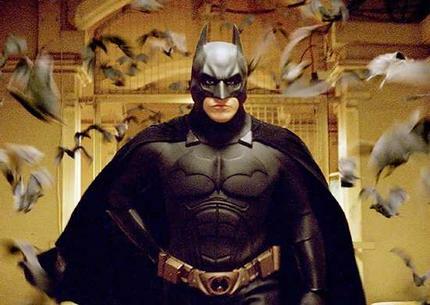 what you love about those movies and what we want to see in The Dark Knight Rises. I adore Batman and Batman Returns, I think Batman Begins is a masterpiece, although I do have some gripes with The Dark Knight. It's an excellent movie, but it never truly feels like a Batman film to me, it lacks some of the magic that the character should have. It's a great crime movie, but it's never as entertaining or as comic book like as it could be. I think Nolan managed to conceptually make the character realistic in Batman Begins, but it still had an element of fantasy to it and I thought the whole thing was wonderful, I never found The Dark Knight to be as an entertaining or as fun (it makes me feel guilty to badmouth the film because I like Nolan, a lot). I want to see a return to the style of Batman Begins in The Dark Knight Rises and I can't wait to see how Nolan conceives the character of Bane and what Tom Hardy will handle it, one thing I can say about The Dark Knight is that The Joker was wonderfully handled and brilliantly executed.